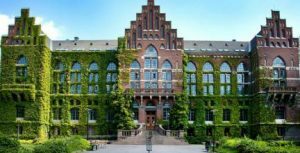 Lund University was founded in 1666 and is ranked among the world’s top 100 universities. The University has 40,000 students and 7,400 staff based in Lund, Helsingborg and Malmö. We are united in our efforts to understand, explain and improve our world and the human condition. Lund is the most popular study location in Sweden. The University offers one of the broadest ranges of programmes and courses in Scandinavia, based on cross-disciplinary and cutting-edge research. The University has a distinct international profile, with partner universities in over 70 countries. Lund University has a clear goal of increasing the international presence and awareness of the university. Collaboration with international partners (and especially Öresund region) is strongly encouraged, along with mobility for students and staff. “An international spirit is crucial in order for us to operate and make a difference in an increasingly globalized world”. A Hub comprising Nordic countries is in this sense perfectly aligned with the “international spirit” promoted by our university, both in research and education activities. Furthermore, another goal is collaboration across boundaries, which is also meant as international collaboration: “take greater social responsibility, promote interaction and the benefits of our education and research—regionally, nationally and internationally”. The increasing pace of digitalization and a massive push towards IoT is one of the societal challenges that need to be faced in the near future. In particular, for Lund, the new infrastructures of MAX IV and the European Spallation Station (ESS) are ideal use cases for Industrial IoT, requiring a large number of sensors and careful monitoring of the processes for optimal performance. These infrastructures create a great development opportunity for Lund University and should become a natural part of our education and research. The intention is to employ these facilities also as platforms for research in other engineering areas, e.g., the advantages brought by IIoT in such systems. Embedded Systems Design (ESD) is a division in the Department of Computer Science, consisting of 5 senior members, 1 postdoctoral fellow, and 4 PhDs. ESD gathers a range of competences essential to designing modern embedded devices, relevant to IoT systems, including scheduling, resource management, programming languages, models, analysis, runtimes and optimization methods for data-centric distributed applications, compilation techniques, hardware-software co-design. The Department of Electrical and Information Technology conducts high-quality research in a variety of areas in electrical engineering and computer science, ranging from pure theoretical research to applied projects in close collaboration with industry. It is at the forefront of international research in most of its areas. The Department of EIT is the major academic platform for local Swedish industry in the telecommunications area. A lot of the academic research conducted at EIT finds its way to standards and actual products produced by companies like Ericsson. EIT consists of 49 scientific staff, 6 postdocs and 57 PhDs. The goal of the department is to provide students with a solid theoretical foundation combined with a good engineering ability. This is reflected in the research program which covers both theory and applications. The research area covers Real-time and embedded control, control of computer systems, computer-control theory, networked control loops, hybrid control, network dynamics, distributed control and optimization, and general control theory. AutCont at ULUND has 13 scientific staff, 4 postdocs and 23 PhD students.